PHOTO BY NINO ESTUAR SENIOR CO-CAPTAIN ELLIOT SMITH- HASTIE dribbles the ball down the field. SENIOR CO-CAPTAIN ELLIOT SMITH- HASTIE dribbles the ball down the field. 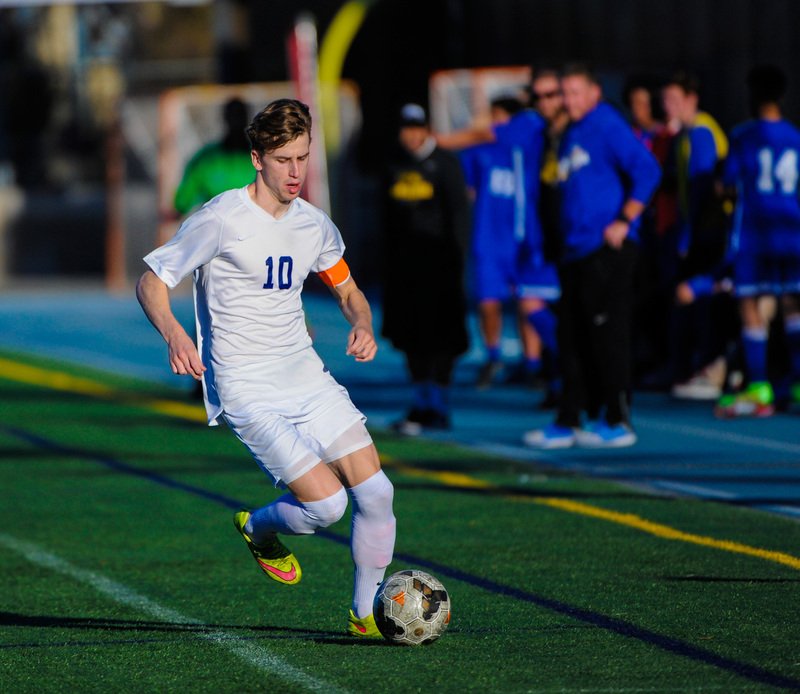 Scoring 22 goals and passing for 17 assists this season, Smith-Hastie helped lead the varsity soccer team to an undefeated 12-0 Mission League record and a 28-4 season record. He also had one goal and one assist in the Cubs’ Southern California Regional Final victory over Cathedral Catholic. At Loyola’s award assembly on Tuesday, May 24, the soccer program retired Smith-Hastie’s No. 10 jersey.